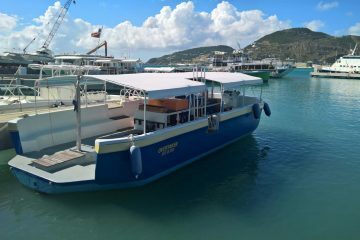 Snuba Sint Maarten – SXM – Beyond Snorkeling the easy way. SNUBA SXM is looking for an enthusiastic captain for their operations. Has to have captains license. Must speak correct English (safety briefings) and have STCW or at least Medical First Aid. Has to be able to drive single engine boat without crashing it. Clean, no smoker and timely. Locals / Legals / Dutch may apply. Please direct email to us, using website. CV’s can be sent upon reply. SNUBA Operator of the Year!!! After two and a half years of swimming upstream like a school of salmon, surviving bear attacks, dams, ripping currents and more fun, we got some excellent news recently…. 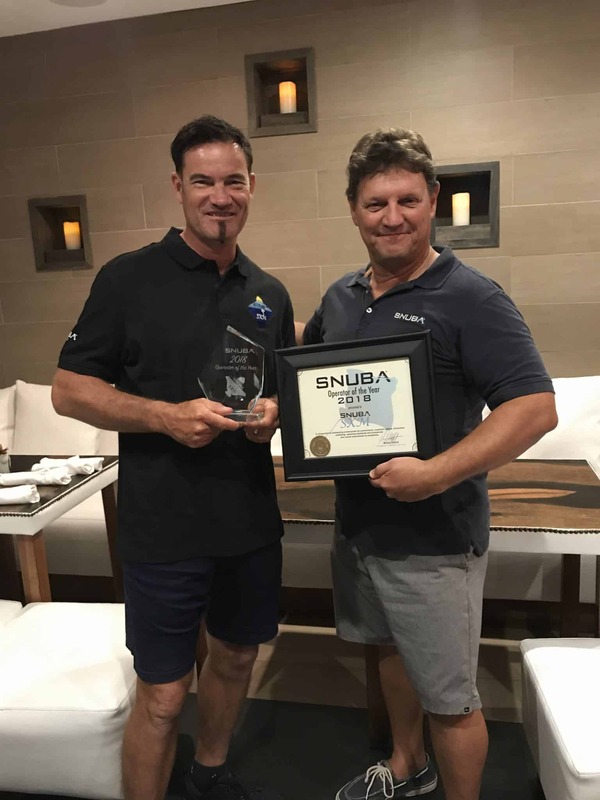 SNUBA SXM made SNUBA Operator of the year 2018!!! We are humbled by the enormous honor granted to us by the decision makers at SNUBA International, to consider us, and then awarding us with this amazing recognition. Thank you so much, Alex Edelmann for mentioning us at all, thank you Staff of SNUBA International and other operators and all other involved for us now being awarded this great award. Thanks to all of our staff involved: Kelly, Eva, Bert, Georgi, Kurt, Sheldon, Elmira, Eduard, as well as our interns: Jaimie, Emmeke, Thomas, Saskia,Rob and Heather. Freelancers: Josh, Alex, for helping keeping the bar as high as I set it… I know I ask a lot. Bite me. Many thanks to our guests. It has been a pleasure having you. Thank you for thousands of likes all over the globe, hundreds of great reviews and not a single bad one. Many of you I remember. Many of you I would like to see back. I also want to thank the hundreds of former guests, friends and family of SNUBA SXM for your incredible efforts to bring us back after we got wiped out by Hurricanes Irma and Maria, respectively September 6 and 20, 2017. Without you, we would definitely not have survived. Bert, Eva and Kelly… you rocked for 4 months helping me restore Overtaker. I will never forget. We will keep setting the bar higher, continue to make clearer, memorable, more entertaining briefings, raise great SNUBA guides; Will continue to show eternal patience during SNUBA experiences and showing you the most satisfying, safest, greatest time, while on Sint Maarten. Some more GREAT NEWS is on it’s way….. stay tuned. 2019 started….. with a few days of bad visibility and therefore cancellations, but then it all turned for the better. Starting the 3rd of January we were able to run and we have had a couple of dozens of guests since then. To the left you see a quick picture of how beautiful it was on January 5th. We are happy to be back with a brand new SNUBA SXM team. Welcome to Sheldon Labasti (SNUBA Guide), Eduard Claessens (Captain) and Heather Roberts (SNUBA Intern). This is the nicest, happiest and most productive team we have had in a while, so we are ready for this season. Come check us out in 2019 and we will give you the experience of a lifetime, take incredible pictures that give you bragging rights and of course you want to pickup your t-shirts while at it. You can book yourselves onto this tour right from our page. SNUBA SXM is looking forward to a great season and we cannot wait to share our enthusiasm with you. Shall we see you soon? Looking to become a Dive Professional? SNUBA SXM is looking for an enthusiastic certified diver for their Internship Program. 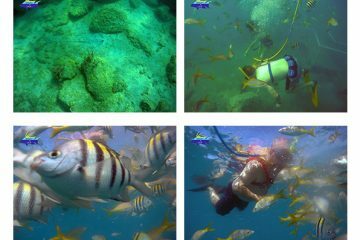 All PADI Programs leading up to and including PADI DiveMaster. Plenty of experience with brand new divers, to form a solid foundation for advancement in your dive career. All realistic applications are considered. SNUBA SXM is looking for new team members. We are looking for 1 full time team PADI (or equivalent) Rescue Diver for a full time job as SNUBA Guide, starting December 16th. After a week of intense SNUBA Training, you will get endorsed as SNUBA Guide and start taking people out for their very first dives. This is a fun and rewarding job and will give you an incredible amount of experience with newbie divers, which is a great way to get comfortable with leading dives if you wish to become PADI DiveMaster. PADI DiveMaster certification can also be obtained in that same period, for cost-price. Many other options available too. Local of or Legal on Sint Maarten, or Dutch Citizen. PADI Rescue Diver or equivalent. Not in a hurry to get home early. You need to want to work to better the team. Happy to work with tourists and eager to make their day a great one. Basic Salary & Social Medical & share in tips. Very low cost PADI Continuing Education. Rewarding, fun job in a nice environment.